Smartwatches may not have taken the world by storm like some initially thought, but that doesn't mean the industry is dead. Indeed, market analysis firm Canalys published a report today that suggests quite the opposite. According to the report, Apple's smartwatch division is doing pretty well for itself. The company managed to ship out a whopping 3.5 million Apple Watches in Q2 2018 alone. This number marks a substantial amount of growth for Apple, as it's 30 percent higher than the company's Q2 2017 Apple Watch sales. However, Apple is still a single fish in a vast pond. As more wearable tech companies crop up and existing contenders expand their businesses, Apple's corner of the smartwatch market has shrunk proportionally speaking. Canalys claims the tech giant's market share now sits at a mere 34 percent, down from 43 percent in Q1 2018. A sizable chunk of Apple's 3.5 million Watch shipments came from Asian countries, where the Watch's LTE version became an unexpected hit - an astonishing 60 percent of Apple's 250,000 Asian Watch sales came from the LTE model. However, despite becoming a bit of a global sensation, Apple will need to take drastic steps to remain competitive in what Canalys calls a "cut-throat" market. 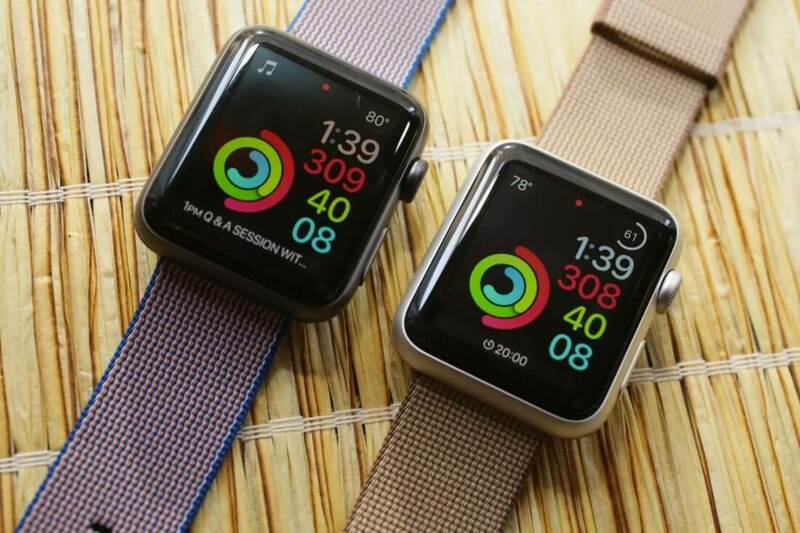 The company's many competitors are starting to implement additional fitness-oriented features that the Apple Watch lacks, and Apple's branding alone may not be enough to attract new customers who are no longer starved for choice. Apple may have a few tricks up their sleeve, though. At WWDC 2018, the company revealed watchOS 5, which is set to include a host of unique new fitness and communication-oriented features.